Seventy-six years ago, sci-fi author Isaac Asimov wrote his initial three laws of robotics as part of his short story, “Runaround.” With visions of physical robots living alongside humans, Asimov’s universal maxims were designed to be programmed into robotic DNA, thus preventing them from harming the very beings that brought them into existence. Later, in an effort to modernize those laws, Asimov drafted fourth law that preceded the other three. While these laws were written for robots, they were written before robotics technology manifested into the real world. 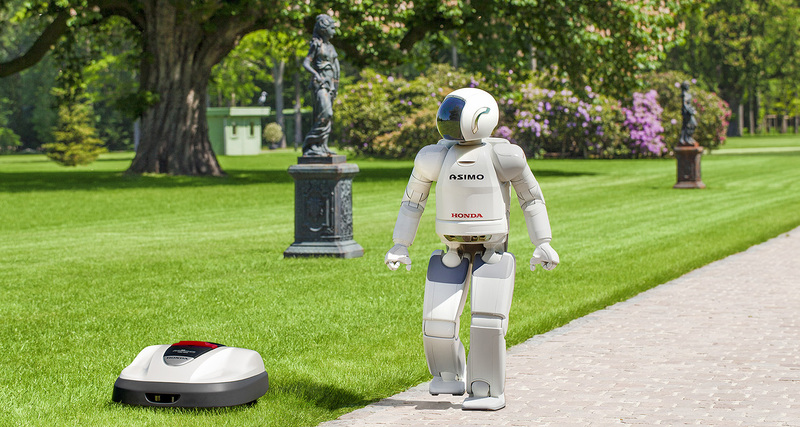 Rather than a robot butler, chef, or driver, modern robots are much more covert. These robots are currently working alongside humans in offices across many industries, automating repetitive tasks, and enabling humans to be more productive. However, just because robots didn’t turn out quite the way Asimov imagined it doesn’t mean that laws don’t apply. When implementing robots, businesses still have a responsibility to employees to use these tools wisely, and this responsibility requires a new set of rules. Humans spend a ton of time doing busy work. On average, managers spend two days a week on administrative tasks, and those two days equates to a whopping $575 billion dollars per year in labor. Repetitive tasks are time consuming, but there’s also opportunity cost. Every minute employees spend entering data into a spreadsheet means one less minute they have to use their brains to make creative, strategic decisions that benefit the bottom line. Not only that, when employees are mired in manual work, they get bored, and 61 percent of bored employees go looking for their next job. To ensure that employees don’t meet a mind-numbing fate, organizations must automate administrative work to give employees freedom in the workplace. Humans and robots are both unique beings that bring vastly different skillsets to the workforce. Unlike Asimov’s vision, today’s robots aren’t self-learning, but they can perfectly perform manual tasks 24 hours a day, seven days per week. Humans, on the other hand, are constantly learning and are capable of emotions and rational thought — but they’re also capable of getting tired and making mistakes. In fact, 91 percent of employees are working more than 40 hours a week, but they aren’t getting ahead, they’re using that time to simply catch up. To truly get the most out of employees, it’s important that organizations design plans that capitalize on the strengths of both humans and robots. This means getting in the trenches to better understand workflow and which processes plague employees on a daily basis. From there, companies and employees can set long-term goals together and design a strategy that will minimize manual tasks while maximizing strategy, creativity, and all of the other traits that are so uniquely human. One of the most common fears is that robots will take human jobs. Yes, it’s likely that some jobs will be automated, but that doesn’t mean people will be relegated to the unemployment line. While robots cost about 10-20 percent of what it takes to employ a human worker, it’s important to remember that it’s not about cost. It’s about value. Robots can deliver value by automating the mundane, manual tasks that actually hinder human productivity. However, robots can’t think critically or strategically. As humans are freed from the tasks that take up far too much of their days, they’ll be able to learn, grow, and think strategically so they can focus on driving business outcomes. Not only will this elevate the role of humans in the workplace, this newfound freedom will allow employees to work without fear of displacement. The new rules of robotics do not apply solely to the organization; employees must also abide by new standards. It’s estimated that 45 percent of job duties can be automated, which means employees will have time on their hands — a lot of time. Often, employees have been trained in a specific area but, in the midst of administrative duties, don’t always have the time to apply those skills. Unfortunately, it’s not always like riding a bike. Sometimes, when skills aren’t used, they become rusty or the ability is lost completely. For example, an accountant may have a background in strategic finance, but when that employee is mired in menial work, s/he isn’t able to regularly practice forecasting and analysis. For employees to stay relevant and cement their place within the organization, they must to use that time strategically to either brush up on prior training or look for ways to acquire new knowledge and capabilities. With the capital saved as a result of automation, companies can reinvest in employee education and training. While Asimov’s laws made sense for the robots he was envisioning, modern robotics didn’t turn out quite like he expected. In fact, they turned out better. Now, rather than living in fear of what robots will do, when organizations abide by the modern laws, employees are more empowered than ever before.